Dancing in the Rain: No Colds or Flu This Winter? Knock on Wood! No Colds or Flu This Winter? Knock on Wood! It's unseasonably warm. Where I am, anyway. Chirpy birds are once again trying to make their springtime home inside a vent opening on the side if my house. 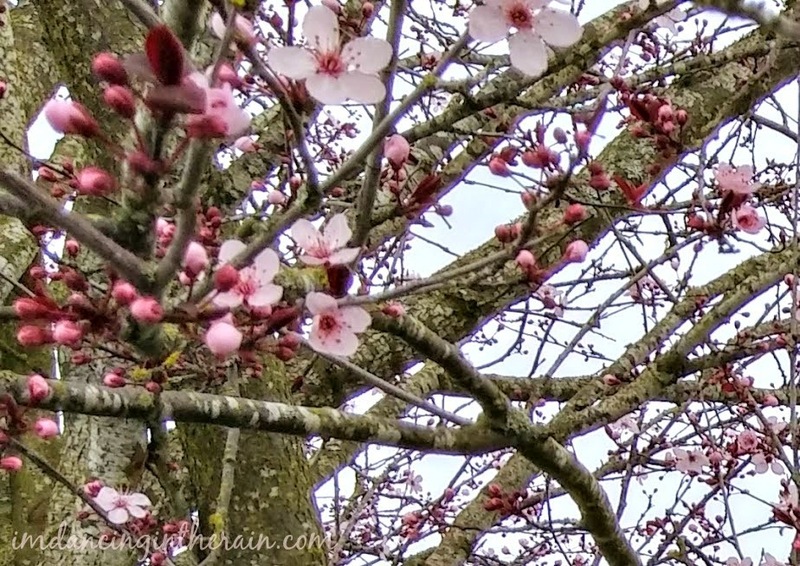 Cherry blossoms are budding, even blooming. All of this is happening....and no one in my family has had a bad cold or flu. Now, I do have two children in school, and we all know school is a breeding ground for The Germs. Yet somehow, only my daughter has come up with a teeny-tiny little cold-ish type thing. Didn't even necessitate a day off from school. AND, I have a chronically ill husband with a weak immune system. When he gets a cold or flu, he's down for the count. We've been lucky so far -- all I can think of that is protecting us is keeping hands clean, taking vitamins and drinking OJ -- but I'm still prepared for the worst. During one of my weekly trips to Walmart (because they have the best everyday values for my family) I picked up some of the new Vicks® DayQuil™ and NyQuil™ Severe. Yep, one of the strongest cold and flu medicines on the market has an even stronger formula. I mean, who doesn't want to feel as good as they possibly can in spite of a cold or flu? I know I don't like to just sit and languish. Also, most of us need to still try to function when we're sick. Available in caplets or liquid (I chose liquid). They say winter is "cold and flu season", but I got sick last year in May. I've also been very sick in August. You never know when it'll hit, so I'm glad I'm prepared....especially because it isn't super easy for me to just run out to the store whenever I want to. I'm going to try to stay healthy, but if something gets me, at least I know I have this stuff standing by. How is your family faring through this winter?